NOAH will purchase 1,000 Twin Cities affordable rentals, helping to offset rising rents. Jim Buchta of the Star Tribune reported on June 6, 2017 that GMHF announced the identities of seven public and private investors that have raised more than $25 million to acquire and preserve 1,000 unsubsidized, affordable rental units in the Twin Cities over the next couple years. The formation of the NOAH Impact Fund, which was announced earlier this year, comes at a critical time for low- and fixed-income renters in the Twin Cities metro. Though about 25,000 new rental apartments have been built in the Twin Cities metro over the past five years, only a fraction of them are available to low-income and working-class families. At the same time, national investors are lining up to buy apartment buildings in the Twin Cities metro that are in need of fixing up and remodeling that will help justify higher rents. As a result, the region has lost thousands of once-affordable rentals, offsetting any gains in new, affordable units that have been added to the rental pool. With vacancy rates in the Twin Cities metro among the lowest in the nation, property owners have been able to implement significant rent increases over the past several years. 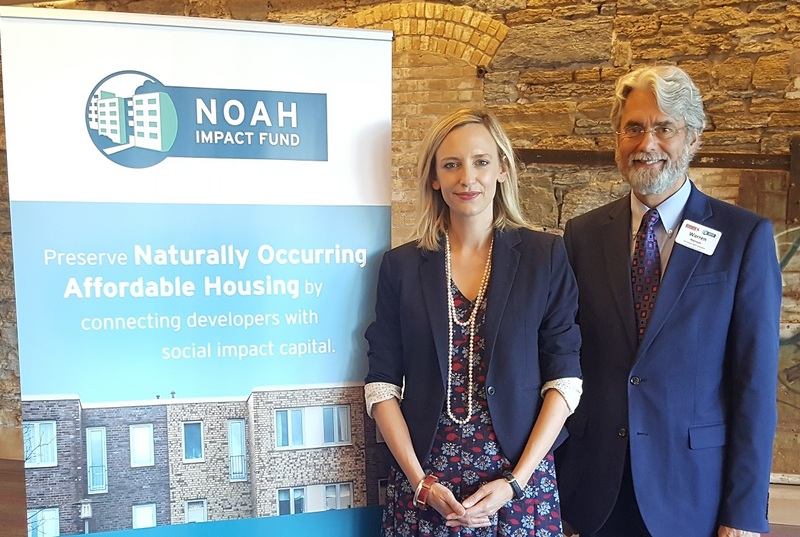 The NOAH Impact Fund investors include Bremer Bank, Sunrise Banks, Western Bank (a division of American National Bank), Minnesota Housing Finance Agency, Hennepin County, the McKnight Foundation and Otto Bremer Trust.